Muslim Pro is recognized by millions of Islam followers through the world as the most accurate Prayer times and Azan application on mobile devices. Muslim Pro now goes one step further by being the first app to offer "Verified" prayer times for major cities across the world. Cities which prayer times have been added and verified with the local Mosques and/or Religious Authorities will get a special "Verified" badge next to the city and/or location name. Important: make sure that you have enabled "Automatic Settings" for your prayer times inside the "Settings > Prayer Times & Adhans" section. No Automatic Settings for your city? If there is no Automatic Settings for your location, you can adjust the prayer times manually to match the ones provided by your local mosque and/or religious authority. Click here to learn more on how to manually set the prayer times. How to get verified prayer times for your city? Prayer times for most major cities in France, Belgium, the United Kingdom (UK), Malaysia, Indonesia and the United Arab Emirates (UAE) have already been verified and we are adding new ones frequently. If you want the prayer times for your city to be added to the list of verified prayer times, please contact your mosques and/or religious authority and ask them to send their prayer times to: "prayertimes@muslimpro.com". Please note that we do not accept prayer times sent by third parties or individuals. 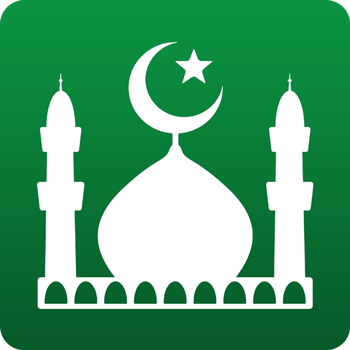 Only prayer times sent by Mosques and/or Religious Authority will get verified in the Muslim Pro app. The Muslim Pro app not only offers verified prayer times. It also features the full Quran with Arabic scripts, phonetics, translations and audio recitations. The app also offers a Qibla locator, an Islamic Hijri calendar, a map of halal restaurants and Mosques, and much more. Where to download Muslim Pro? Does the Muslim Pro application use 12°, 15° or 18° angles for prayer times in France?